August 2015, Truck It Smart, LLC (TIS), Haines City, FL, the world’s most user-friendly load board announced the integration of TIS v.3.6 with Transport Pro Inc., Nashville, Tennessee, a cloud based freight management and financial system. “Our customers depend on Transport Pro to provide solutions to streamline operations and improve productivity” said Kenneth Kloeppel, Director of Technology. “The integration with Truck It Smart helps Transport Pro brokerage customers further simplify the load posting process. In a few clicks, brokers can post available freight directly to the Truck It Smart load board and later transition that same load from a simple posting to secured freight in Transport Pro." Truck It Smart will be attending The Great American Trucking Show (GATS) August 27-29th, 2015 in Dallas, Texas – Booth 15169. 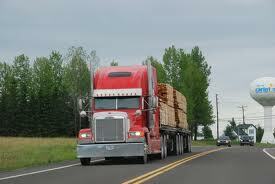 Please stop by and see how we can help with your trucking solution requirements. Industry Experts and Trucking Personalities George and Wendy Parker will be at the TIS booth on Thursday, August 27th, from 2:00-4:00 and Saturday, August 29th, from 2:00-4:00 to greet guest, take photos, and talk trucking. 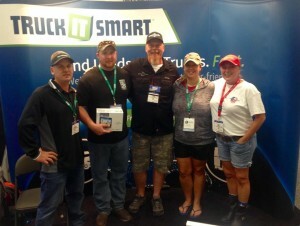 Additionally, Truck It Smart will be holding giveaways each day. Stop by the TIS booth to enter. Transport Pro, Inc (Nashville, TN) is a cloud-based freight management and financial system. Transport Pro software is rapidly adopted and designed to aid trucking companies, third party logistics, and brokers with innovative software and technological solutions that are scalable to the size of the organization and deployable across multiple locations.